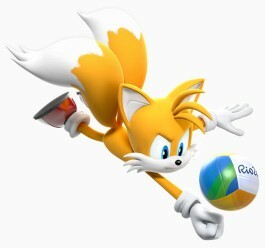 There are all sorts of events just waiting to test your mettle in Mario & Sonic at the Rio 2016 Olympic Games for Wii U. From official Olympic Games events to special Dual Events and the Heroes Showdown, you’ll never be short of sporting thrills! 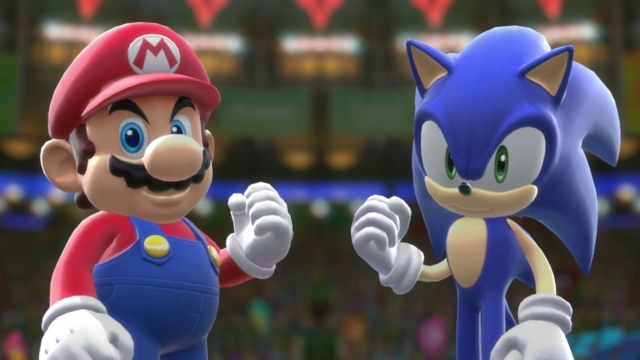 A Mario & Sonic at the Rio 2016 Olympic Games demo is available to download now! Simply visit Nintendo eShop on your Wii U to download the demo! 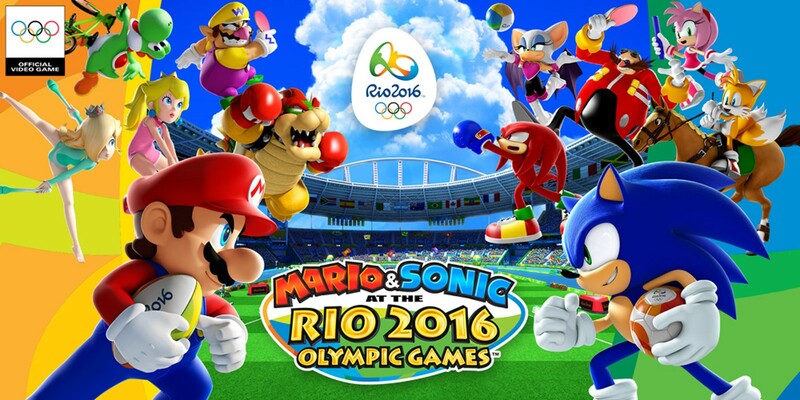 The worlds of Mario and Sonic come together once more for 17 exciting events in Mario & Sonic at the Rio 2016 Olympic Games™ on Wii U. Taking place in Rio de Janeiro, host city of the Games of the XXXI Olympiad, this instalment in the series features over 30 playable characters, the ability to play as your Mii, and plenty of frantic four-player multiplayer action to enjoy with friends and family, including the new Duel Events, which give familiar sports a classic Mario & Sonic twist. Rugby Sevens is one of three sports, along with Football and Beach Volleyball, that comes with its own Duel Event. The action’s powered-up, familiar items like Bullet Bills and Chaos Emeralds are allowed, and chaotic multiplayer matches are guaranteed. In Duel Events, you build up Duel Points by pulling off actions like tackling, spiking or shooting, then have to score a try, point or goal to add these Duel Points to your total score. Last-gasp turnarounds and severe drubbings on an unprecedented scale await! You can also vie for gold medals in classic Olympic Games events like Boxing, Archery and the 100m sprint, using either the Wii U GamePad in single-player mode, or with Wii Remote button controls in multiplayer. All events take place in venues modelled after the real-life venues of the Olympic Games, bringing an authentic touch of Rio to the proceedings. Rhythmic Gymnastics (with clubs) and Rugby Sevens – the latter making its debut at the Rio 2016 Olympic Games – are also playable for the first time. Alongside the new events comes the new Heroes Showdown mode: an addition for only the most dedicated Mario and Sonic fans out there. 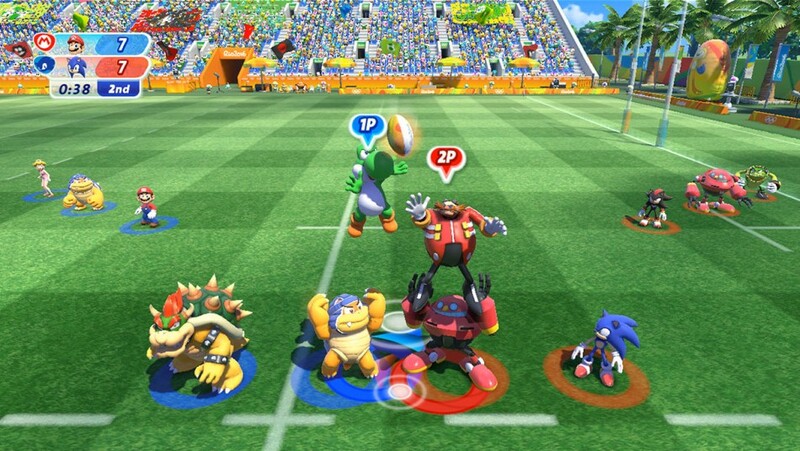 Competitors join up with Team Mario or Team Sonic and battle it out against the other side in knockout rounds. Events are picked at random for a real test of all-around skill, and each round a character from the losing team is knocked out until either all members are knocked out, or Team Captains Mario and Sonic are eliminated, so it’s all on the line to be the last team standing. Additional special tournaments can be accessed through the use of amiibo, which can be used after completing 25 tournaments. Over 30 playable characters from the Mario and Sonic series appear, including some that are exclusive to certain events. Sporting hopefuls can put themselves in the game as their Mii, and take part in tournaments for each event. 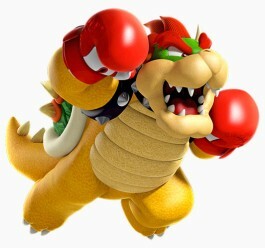 Coins and rings earned through gameplay can be used to buy additional costumes from the Mario series or Sonic series respectively. With 14 official Olympic Games disciplines and three Duel Events, over 30 playable characters and the ability to play as your Mii, and local multiplayer for up to four players, Mario & Sonic at the Rio 2016 Olympic Games™ will offer everyone a chance to go for the gold! *The registration of Nintendo Network ID and acceptance of the network related terms and privacy policies required. 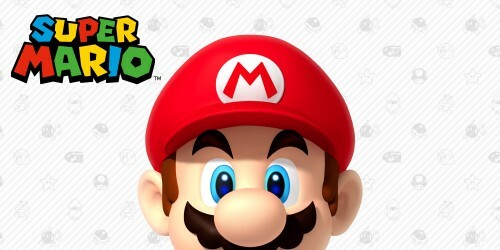 Find more Mario games at the Super Mario hub! By tapping a Sonic amiibo (sold separately) to the Wii U GamePad, the Sonic League will begin, pitting a player’s Mii against characters from the Sonic series. Meanwhile, the Mario League can be played if any Mario amiibo (sold separately) is tapped, and will see players squaring off against characters from the Mushroom Kingdom. A special Mario or Sonic Mii costume will be earned for winning their respective leagues, while scanning in any other amiibo will reward the player with either coins or rings to use at the Item Stand for a chance to win additional costumes. Jump into Nintendo’s Super Mario Hub! 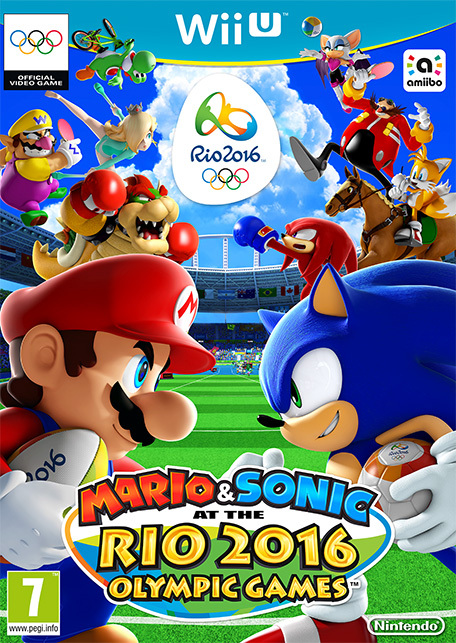 The worlds of Mario and Sonic come together once more for 17 exciting events, in Mario & Sonic at the Rio 2016 Olympic Games™ on Wii U.